This picture shows nice and useful scarf which is necessary thing for persons living in countries with continental climate. It can protect you of wind, warm you in cold weather and even cover your shoulders if there is too much sun. 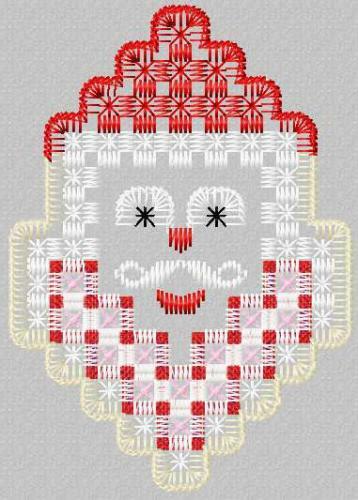 It also can be good gift for Christmas and New Year because of Red Christmas dwarf free embroidery design. This funny figure makes work piece original and memorable. 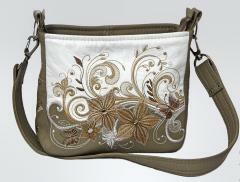 This picture shows good example of embroidered woman’s bag. 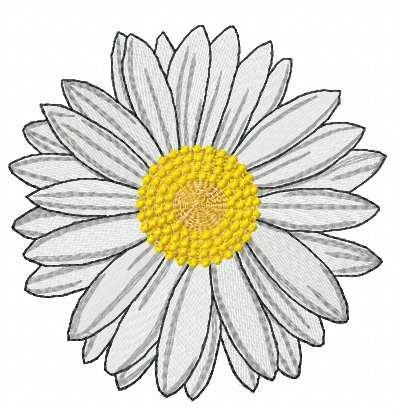 It seems that this flower sample is natural and integral part of work piece. 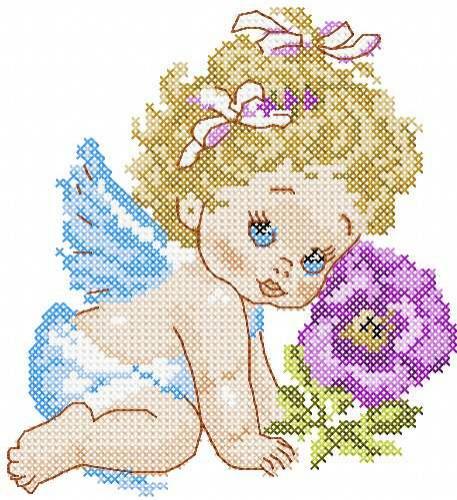 Look how beautiful this design looks on border between dark and light parts of bag. 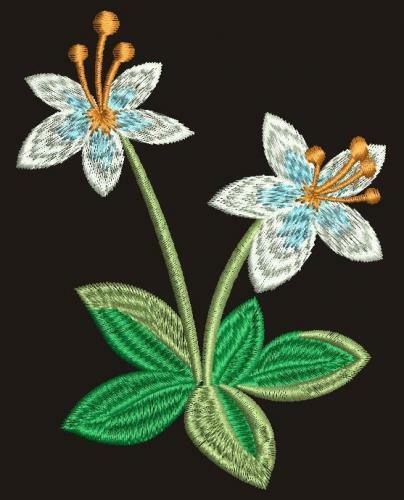 Color scheme of Night magic bouquet embroidery design perfectly combines with main colors of accessory. It definitely will attract much attention by its cool design and accuracy of executing. Perfect idea and work. 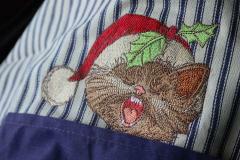 This is fragment of shirt decorated with Christmas embroidery sample. It is Cat sings Christmas carols 3 embroidery design. 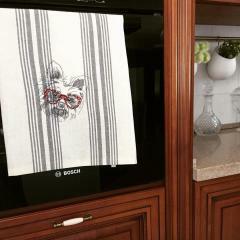 Author used original way of placing sample on work piece: it seems that cat looks from pocket. Its fluffy head is decorated with traditional cap and maple leaves. It is very excited with holiday song which reports that Christmas is coming. 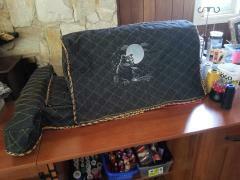 This is fragment of jeans clothing decorated with original and unusual sample. 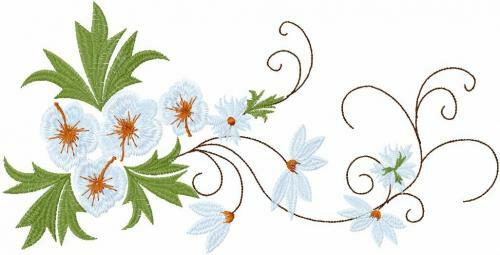 It is Tribal owl machine embroidery design. It looks very strict and impressive on dark fabric. It seems that attentive eyes of this well-known forest bird look right at you. 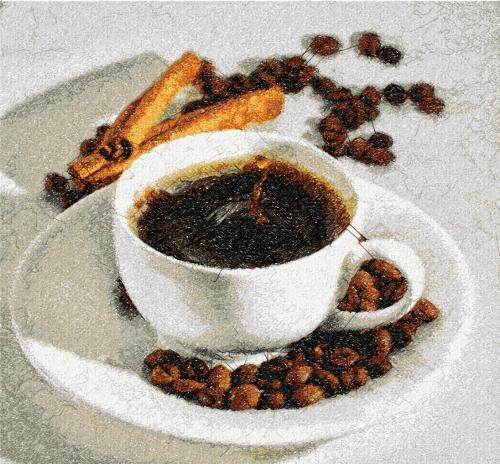 This picture is quite complex composition made of many small details and shades. 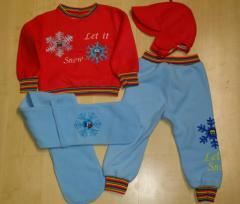 Together they create well elaborated and beautiful embroidery. Create same project.